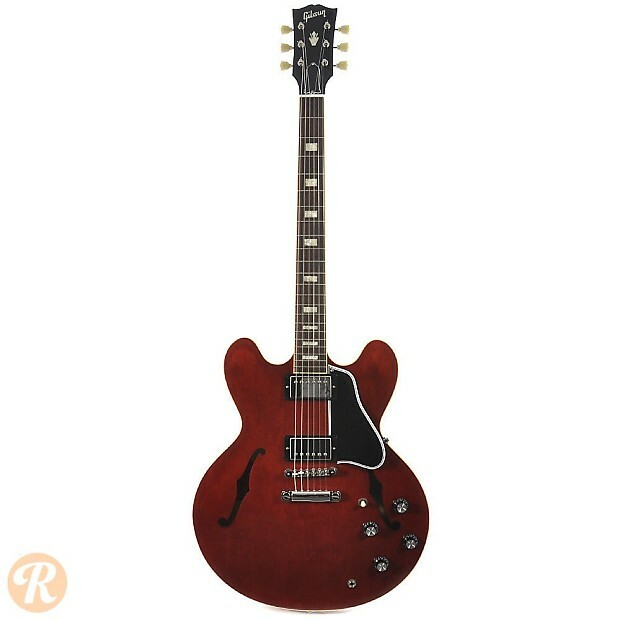 Like the Les Paul, the ES-335 stands as one of Gibson's all-time most iconic models. 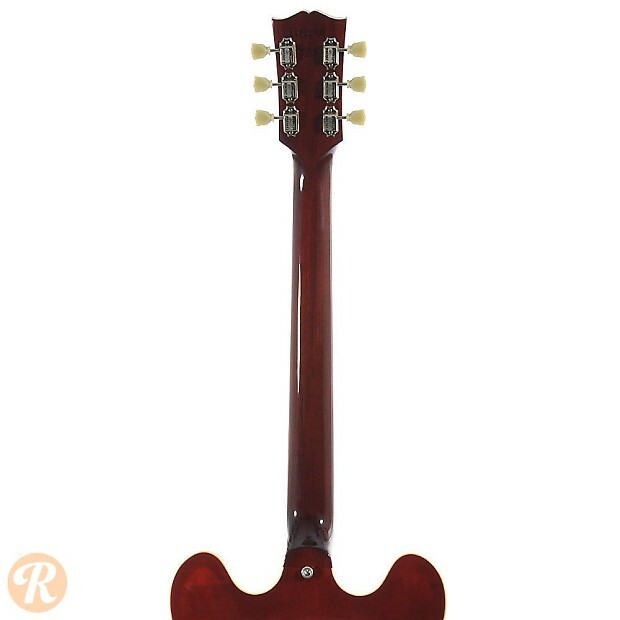 The ES-335 is a semi-hollowbody guitar which means that it has a solid block of wood running through its center with hollow wings on either side. 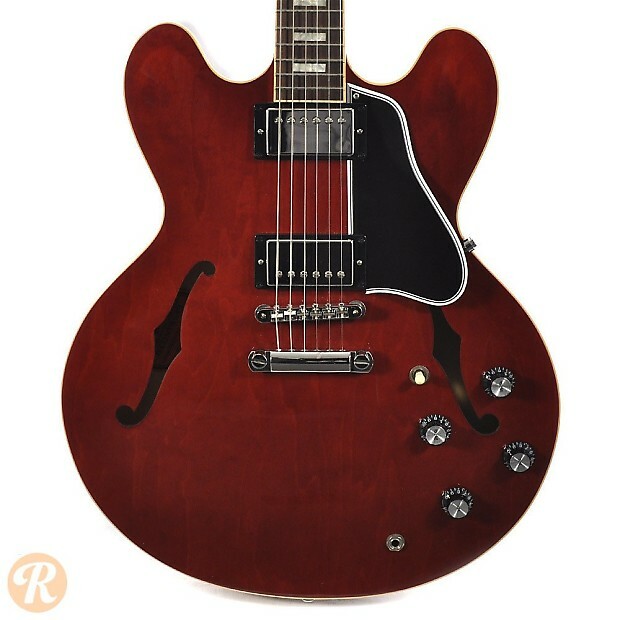 This construction style maintains the open tone of a hollowbody while helping to reduce feedback. 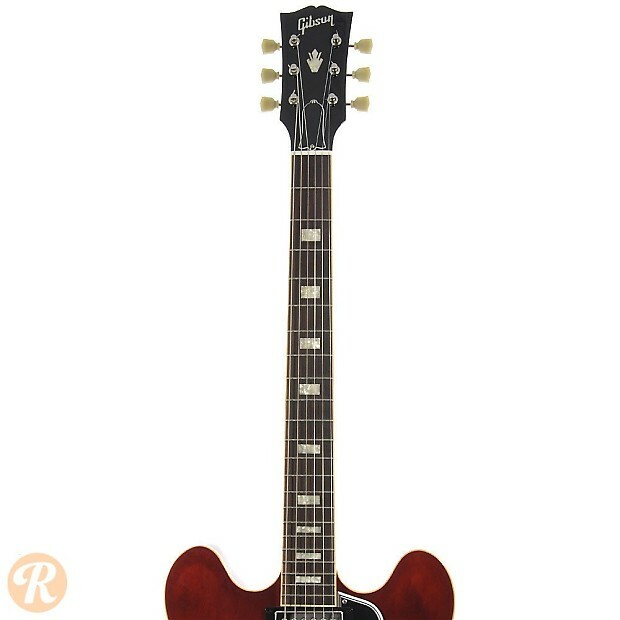 The ES-335 was introduced in 1958 and has remained in production in various forms ever since. 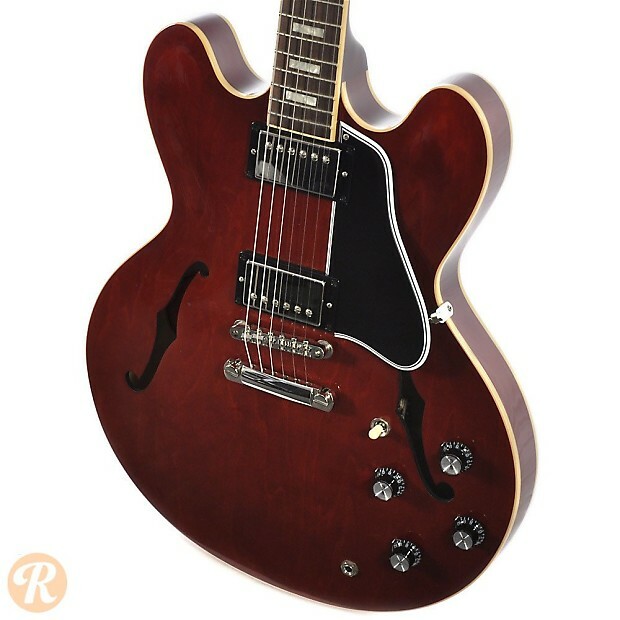 Starting in 2002 the Gibson Custom Shop produced a reissue with small block inlays known as the 1963 ES-335 Block. 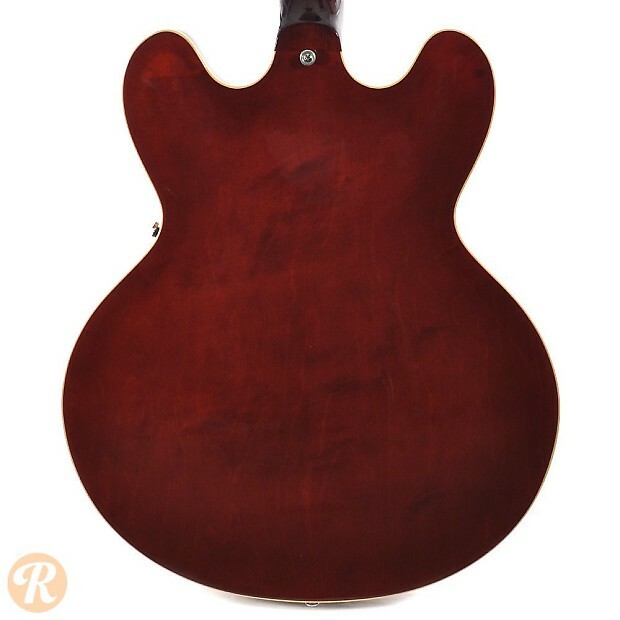 Finish Specification: Cherry is a standard finish for the ES-335.